Join Ruby enthusiasts from all over the world for Paris.rb Conf 2018, taking place June 28-29. Toptal’s VP of Engineering Bozhidar Batsov will be speaking at this event. Bozhidar’s talk, titled Ruby 4.0: To Infinity and Beyond, takes place June 29 at 12:30 pm. 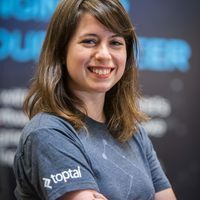 Bozhidar’s talk will be an exploration of the challenges that Ruby faces today, combined with ideas regarding how we can change things for the better. We’ll talk about the language, its ecosystem, and its community. While on this bold adventure we’ll plot a course towards Ruby 4.0 — a mystical and magical Ruby release that would ensure Ruby’s dominance to infinity and beyond!